The “organization-customer interface” refers to the dynamic exchange of information between the customer and a company. In recent years, the “organization-customer interface” has undergone major transformation due to the effects of the Internet and of globalization. For these reasons, organizations are searching for new and innovative ways to connect with their customers and gain an edge over their competitors. It is apparent that today’s web 2.0 driven world, has contributed to the increase of enterprise-wide collaboration between customers, business partners and employees. Despite this emerging collaborative approach, one of the most common roadblocks that companies still encounter is the lack of alignment of corporate strategies with customer expectations. OneDesk connects customers, business partners and employees to the product and service development process. Customer feedback, Requirements and Project Management applications ensure that customer insight is captured, managed, turned into requirements and directed towards the appropriate team members to take action. 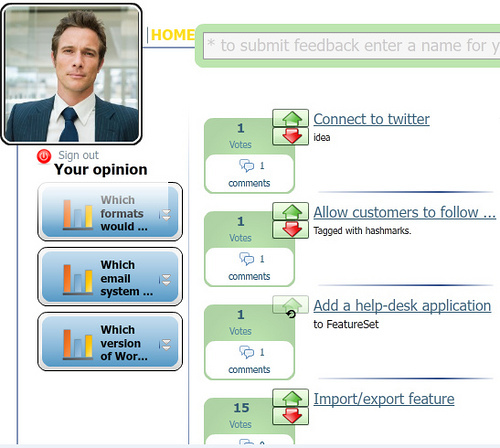 OneDesk facilitates the organization-customer interface through the use of a sophisticated customer portal. As a key component within the customer feedback management process, the customer portal allows customers to submit and discuss suggestions and feedback amongst themselves, as well as engage with other members of your organization. You and your organization can then actively participate in these customer conversations, ask questions, and elaborate the details of their feedback. Find out more about the customer portal here. 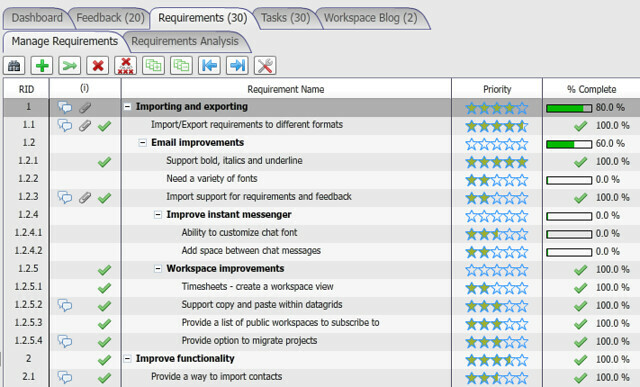 OneDesk also lets you easily manage and prioritize product and service requirements. Comprehensive requirements and project management applications addresses the needs of Project Managers and their teams. Finally it is comprised of social collaboration tools like chat, discussion and blogs to keep everyone on the same page and promote healthy and effective idea generation and organizational productivity.